With sincere thanks to the Arts Council Northern Ireland, Franz Collection Inc. and British Ceramics Biennial for their excellent support. 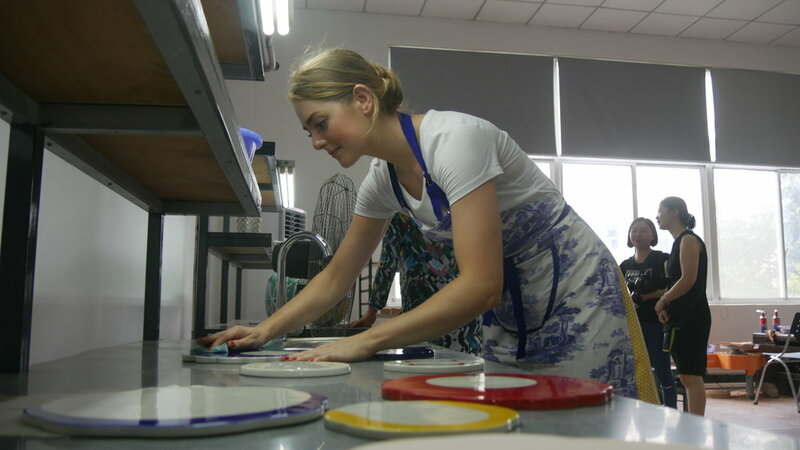 Designer and Artist Maria Joanna Juchnowswka and British Ceramics Biennial’s Creative Producer and Artist Rhiannon Ewing-James took part in an International Exchange workshop coordinated by Franz Collection and it took place in their porcelain manufactory in Jingdezhen, China during July 2018. Rhiannon Ewing-James was generously supported by the Arts Council Northern Ireland and their Travel Bursary and made this opportunity a reality. This International Exchange project brought together several creative individuals which included; three potters Li Ren Mei, Professor Liu Fengxiong and Liu Xuhua from Taiwan, three porcelain artists, Wu Lixin, Ding Chuanguo and Dou Yan ying from Jingdezhen and two designer/artists Maria Joanna Juchnowska (PL/NO) and Rhiannon Ewing-James (IR/UK) from Europe for a two week intensive workshop. The international group were invited to create artwork, designs and to most importantly collaborate and work together. 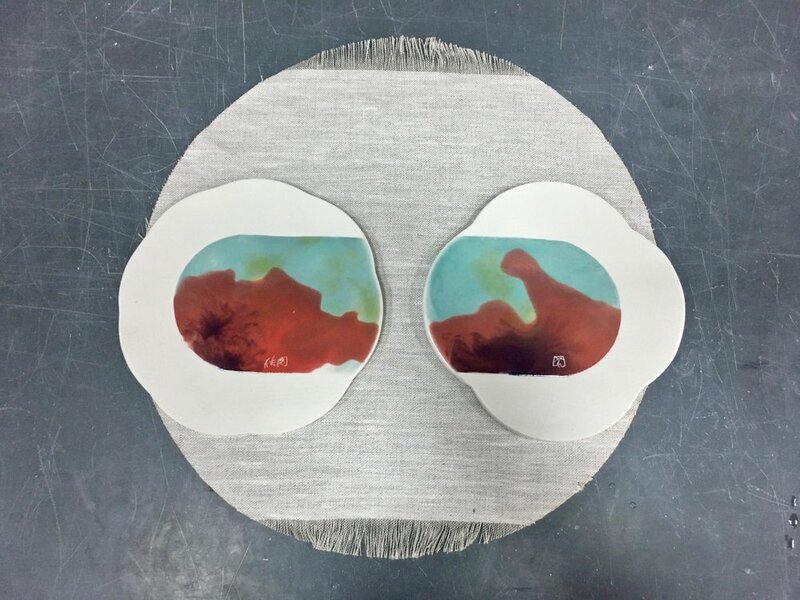 The expansive factory housed brilliant facilities for slip cast porcelain artwork, this space became their studio and the factory workers became their collaborators and partners in the creation of experimental artworks. This experience gave them the chance to further develop their knowledge in exploring the of value in materials inherent to place and people. While the workshop took place, we exhibited our work as part of of the international exchange project and we gave presentations to reporters, Government officials and leaders of the Jiangxi Province, the Jingdezhen Ceramic Institute, the Ceramic Industrial Park, Franz and to the friends we met along the way. This was an opportunity where I talked about the British Ceramics Biennial, Stoke-on-Trent and my practice with others whilst encouraging key figure heads to lead the way towards further cooperation initiatives and international exchange opportunities. When I could, I ventured out into the Porcelain Capital visiting organisations and contacts with the hope of brokering strong connections to initiate international exchange opportunities for UK artists. The connections I further deepened include with: The Pottery Workshop Residency centre, The Jingdezhen Ceramic Institute International School Residency Centre and separately it’s Production Design Dept and Franz Collection. The most exciting thing for me now is to see the new connections I’ve made can grow into international exchange projects and to see how artists can act as catalysts for change, transform traditions into other realms of contemporary artistic practice and connect cultures through clay. Image credit: Franz Collection Inc.